The news is in! 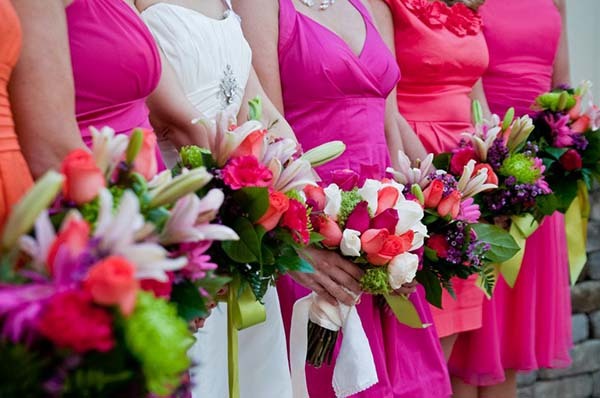 The trendy color for 2014 is Radiant Orchid, according to mywedding.com. Now is the time to start thinking about your Spring or Summer wedding and making all the necessary plans. The picture above shows you how you can pair the Radiant Orchid color with a lime green which would work well for both seasons! This color combination would be beautiful with either a shabby chic theme, pearls and diamonds or a vintage feel with china and others older pieces for decoration. Gala has all of the above linens and items to help transform your wedding into a beautiful showplace that your guests will talk about for years to come. For the vintage feel, a broach bouquet would be beautiful for the bride to carry – check out some of the pins for ideas on our Facebook page. Also, check out our webpage at www.galafacility.com to see up to date pictures of our most recent events and past events showcasing different color combinations and options.